Power supply is a source of electricity for a device, which converts, regulates, and transmits the external power for the device. Typically, it converts one type of electrical power to another, but it may also convert a a different form of energy – such as solar, mechanical, or chemical – into electrical energy. Power supplies are sometimes referred to as electric power converters. Some power supplies are discrete, stand-alone devices, whereas others are built into larger devices along with their loads. Examples of the latter include power supplies found in desktop computers and consumer electronics devices. Power Supply provides components with electric power. The term usually pertains to devices integrated within the component being powered. It also regulates the voltage to eliminate spikes and surges common in most electrical systems. 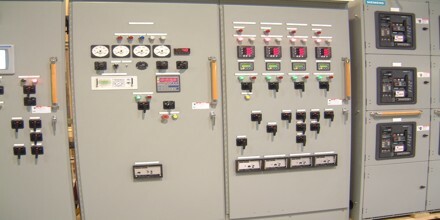 Not all power supplies, however, do an adequate voltage-regulation job, so a computer is always susceptible to large voltage fluctuations. 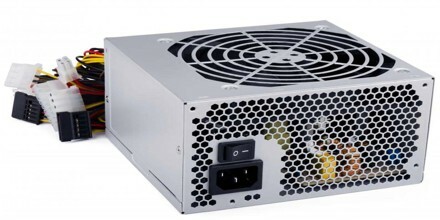 Most computer power supplies also have an input voltage switch, which can be set to 110v/115v or 220v/240v, depending on the geographic location. This switch position is crucial because of the different power voltages supplied by power outlets in different countries. Standard power supply methods are normally sufficient for handling most commercial or industrial applications, electrical disturbances can sometimes harm the performance of sensitive equipment or interrupt vital operations. Electronic power supplies manufacturers offer protection from certain unwanted conditions. In this sense, uninterruptible power supply (UPS) units may provide significant benefits to performance stability and cost-efficiency by decreasing industrial system downtime, lowering the rate of equipment malfunction, and reducing the potential for process interruptions. Power supplies can be broadly divided into linear and switching types. Linear power converters process the input power directly, with all active power conversion components operating in their linear operating regions. In switching power converters, the input power is converted to AC or to DC pulses before processing, by components that operate predominantly in non-linear modes. One of the most common and unpredictable sources of sudden power spikes is atmospheric lightning, which can severely affect an electricity supply network. Unintended surges in an electrical power supply are most often the result of switching off large electric loads, while electrical dips occur from switching on. The most important factor in both surges and dips is the size of the load being switched relative to the transformer rating at the power supply source. Harmonics are another common cause of electrical interference among power supplies. In most alternating current power systems, voltage variations occur along a sine wave frequency, but a non-linear electric load can generate a different frequency for the current waveform. Typical sources for harmonics include solid-state semiconductors, current rectifiers, discharge lamps, and variable speed and induction motors. Power supplies are a fundamental component of many electronic devices and therefore used in a diverse range of applications. 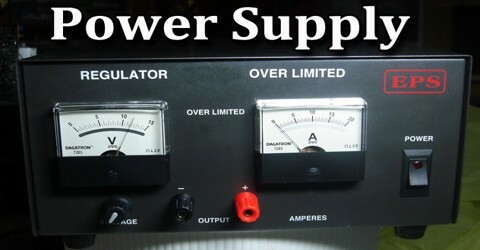 This list is a small sample of the many applications of power supplies. Electric vehicles are those which rely on energy created through electricity generation. A power supply unit is part of the necessary design to convert high voltage vehicle battery power. 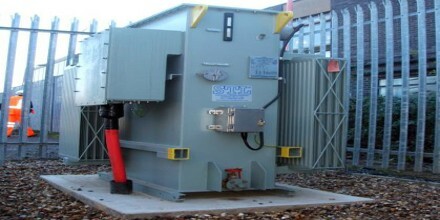 Both commercial and military avionic systems require either a DC-DC or AC/DC power supply to convert energy into usable voltage. 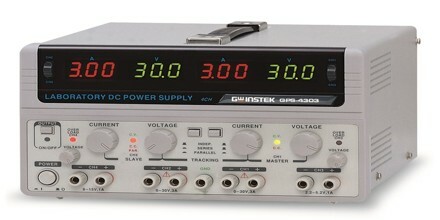 A modern computer power supply is a switch-mode power supply that converts AC power from the mains supply, to several DC voltages. Switch-mode supplies replaced linear supplies due to cost, weight, and size improvement. The diverse collections of output voltages also have widely varying current draw requirements. Most computer power supplies include a number of switched-mode supplies, which operate independently by producing a single voltage. These are linked together, so that they shut down as a group in case of a computer fault. An AC adapter is a power supply built into an AC mains power plug. AC adapters typically have a single AC or DC output that is conveyed over a hardwired cable to a connector, but some adapters have multiple outputs that may be conveyed over one or more cables. “Universal” AC adapters have interchangeable input connectors to accommodate different AC mains voltages. Reference: thomasnet.com, webopedia.com, techopedia.com, wikipedia.